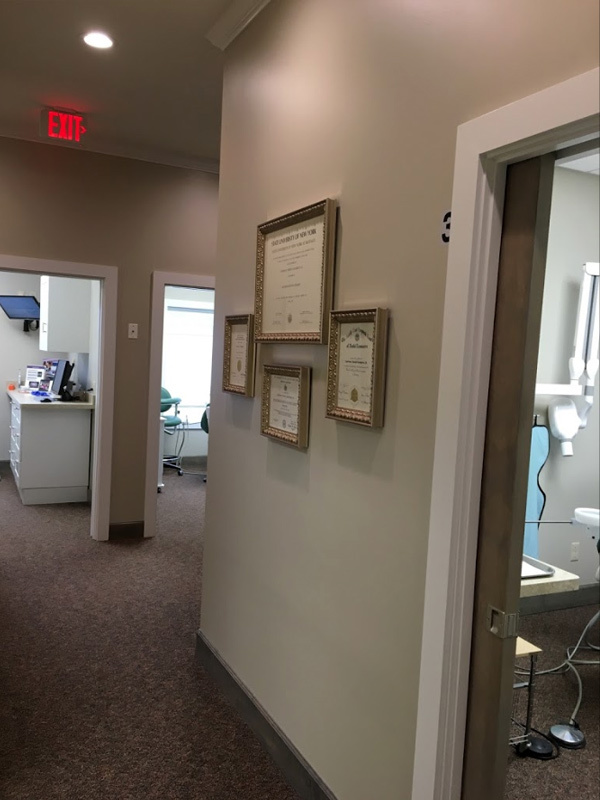 At Giangreco Family Dental, we inspire and educate our patients to improve their oral health and enjoy a beautiful smile. Our passion and attention to detail is your dental team’s commitment to excellence. The genuine care and comfort of our patients is our highest priority, and as a team we pledge to provide the finest personal service. Our dental staff serves Rochester, NY with routine cleanings, crowns, bridges, implants and more. 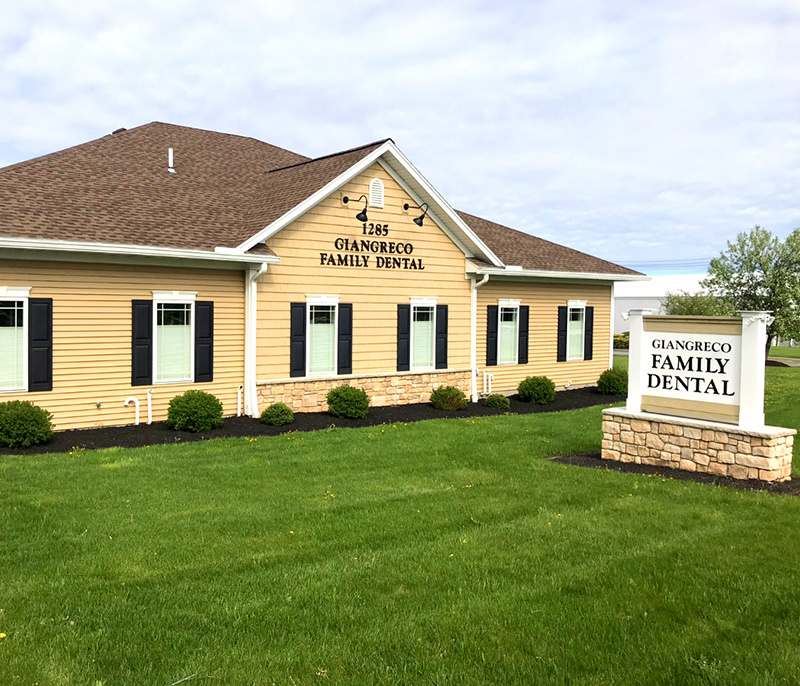 Giangreco Family Dental is a general dentistry office located in Webster, NY, serving Monroe County with a full range of dental care services. We believe that proactive oral care, preventive maintenance, and patient education are the cornerstones to dental health. 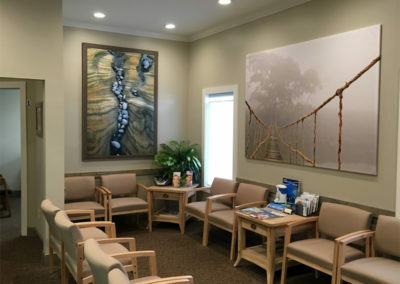 With our newly-constructed facility located on a single-level and convenient private parking, we accommodate all ages to make your appointment as simple as possible. You always have a friend here! Call us at 585-671-2930 to schedule your appointment today. 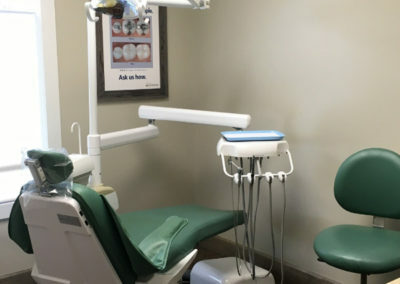 We offer a variety of services from routine cleanings and exams, fillings, same day crown restorations, implants, root canals, extractions, dentures, sedation dentistry, and cosmetic services. Dental implants are a popular and effective way to replace missing teeth. They are an excellent long term option for restoring your smile. In fact, the development and use of implants is one of the biggest advances in dentistry in the past 40 years. 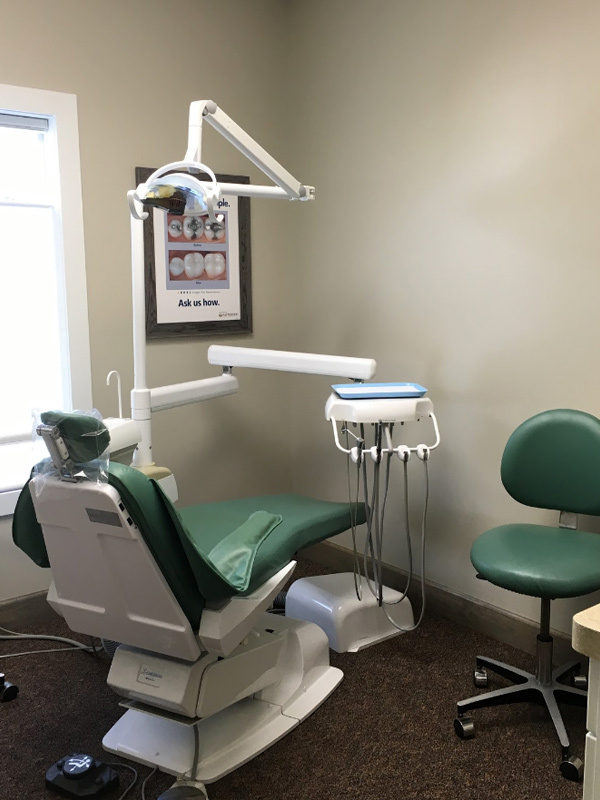 As a team, we are here to help make your dental experience as relaxing and comfortable as possible. Non-intravenous conscious sedation/oral conscious sedation helps to reduce fear, apprehension, and stress that are sometimes associated with dental procedures. It’s imperative to your health to schedule routine cleanings and exams to ensure a healthy smile. 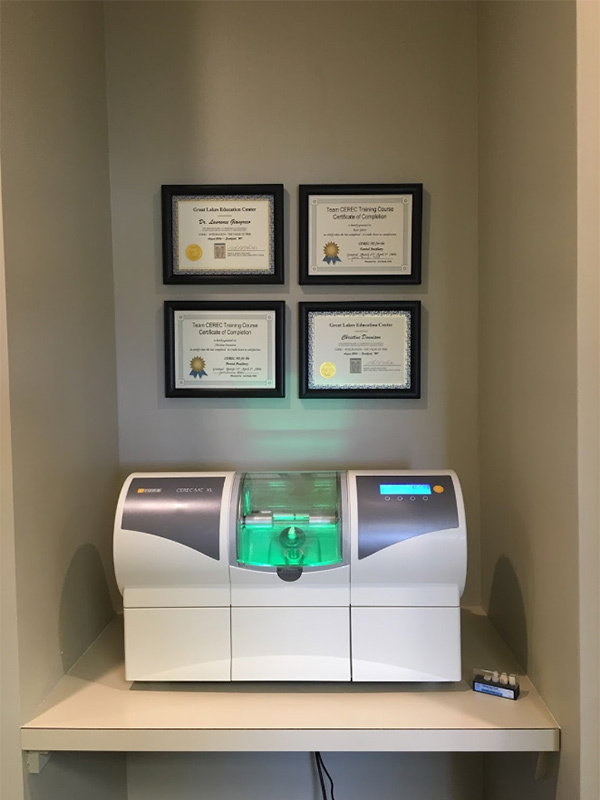 With the latest technology, CEREC crowns are created the same day, right in our practice. 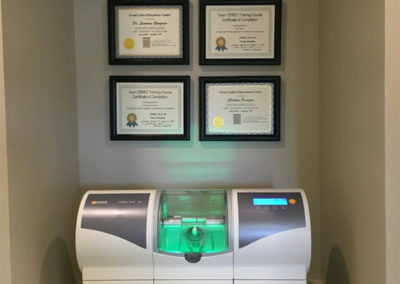 Color matched and highly durable CEREC delivers the results you need in a single visit to help make your tooth stronger and improve its physical appearance. Smile enhancement can have dramatic results on your overall appearance; even the smallest step can boost your confidence, and self-esteem. With modern advances in dentistry, cosmetic procedures such as teeth bleaching, cosmetic bonding, or Botox can help give you the assurance and confidence that you’ve been looking for. Instead of removing a tooth that is severely decayed or abscessed, root canals are used to help repair and save a tooth. If you’ve lost all or some of your natural teeth, whether from gum disease, tooth decay or injury, replacing missing teeth will benefit your appearance and your health, along with making it easier to eat and speak. I have outrageous dental anxiety resulting from poor dental practices used on me as a child. Dr. Larry and his staff are amazing! They are very patient with me, and extremely gentle! Merry Christmas! I’ve been asking Santa for my new front teeth and Dr. Larry made that come true. Superb!!! Never felt so relaxed. Doctor Larry is down to earth. He makes you feel at home and a part of his family. Very understanding and accommodating to your needs! Amazing people! A caring and wonderful staff, and Dr. Lawrence Giangreco is super nice! 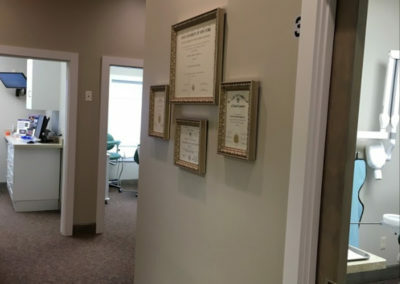 Giangreco Family Dental is a multi-generational dental practice that has been dedicated to caring for the Rochester community and its surrounding areas for more than 50 years. 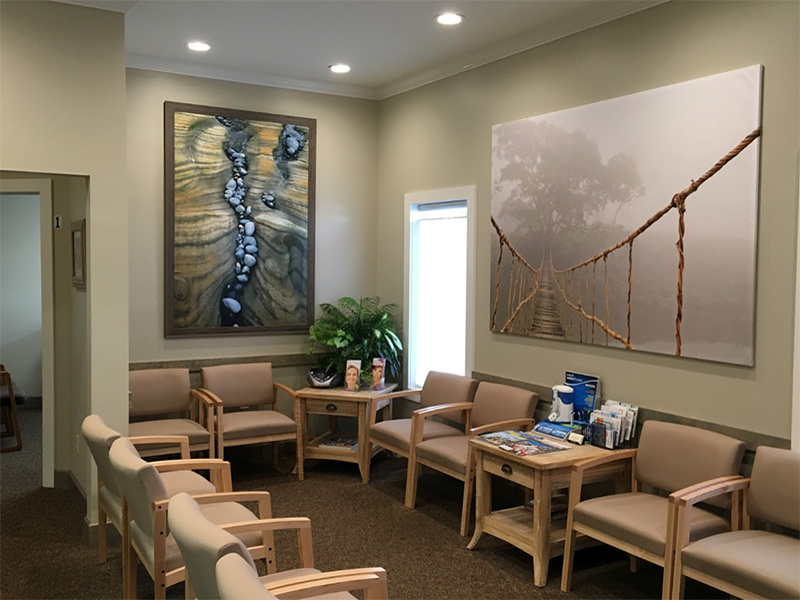 We pride ourselves on the highest quality care and patient education, and the use of state-of-the-art technology to better serve our valued patients.